I don’t think I need to say anything else. 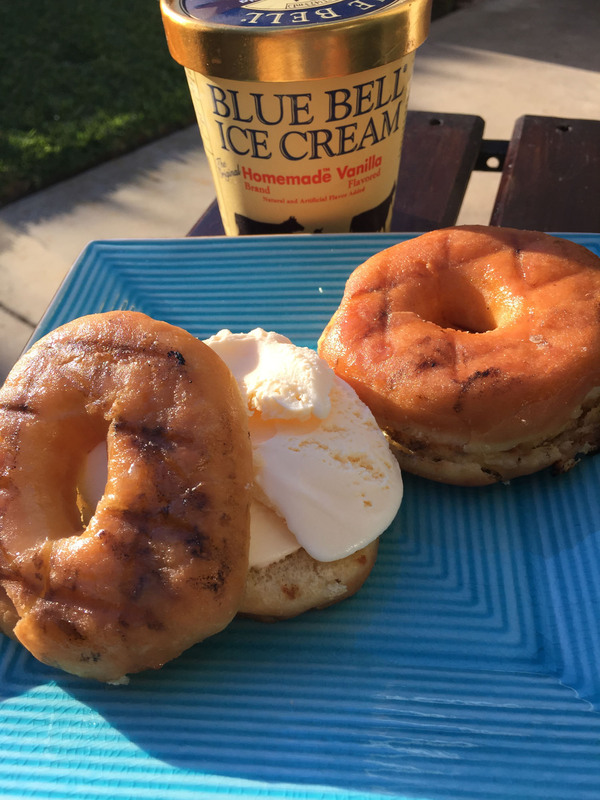 Grilled Donut Ice Cream Sandwiches. That is all. 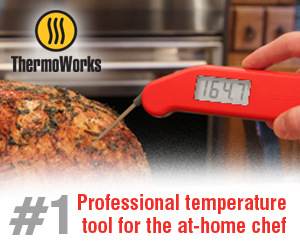 Ha – Actually, my next thought is why in the heck did I not think of this sooner? The recipe is simple – take some day old donuts (for maximum crispness) and slice them in half. 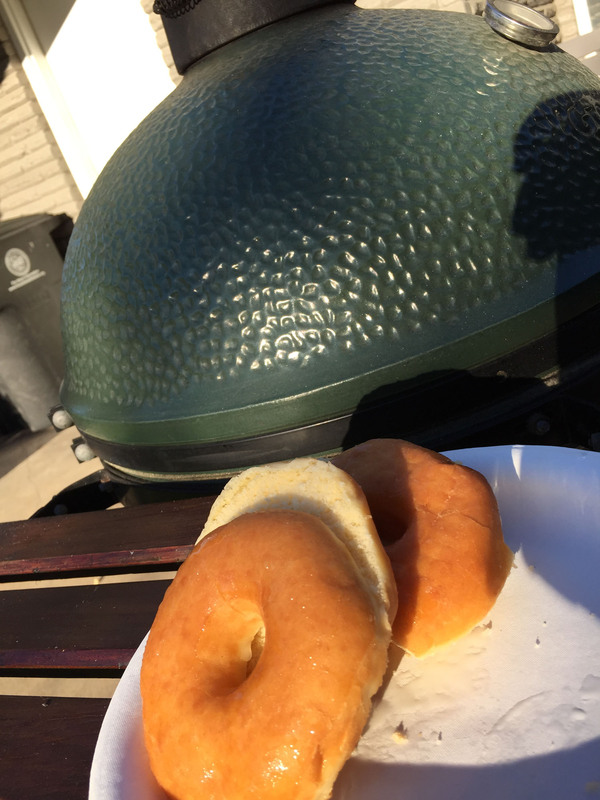 Grill with the inside down on your Big Green Egg for 1-2 minutes (my egg was at 400 dome temp). 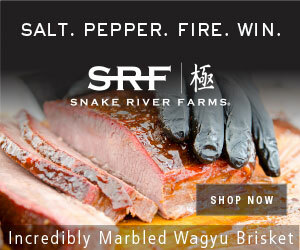 Flip the donuts and then grill for another 1-2 minutes, just until a nice char appears. 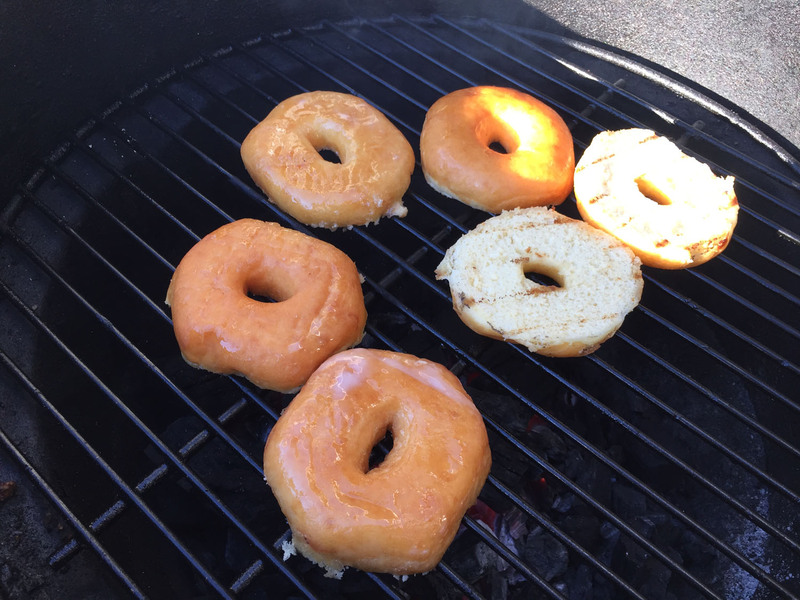 Immediately remove from grill, top with ice cream and enjoy while the donut is still warm. Prepare for your head to explode. 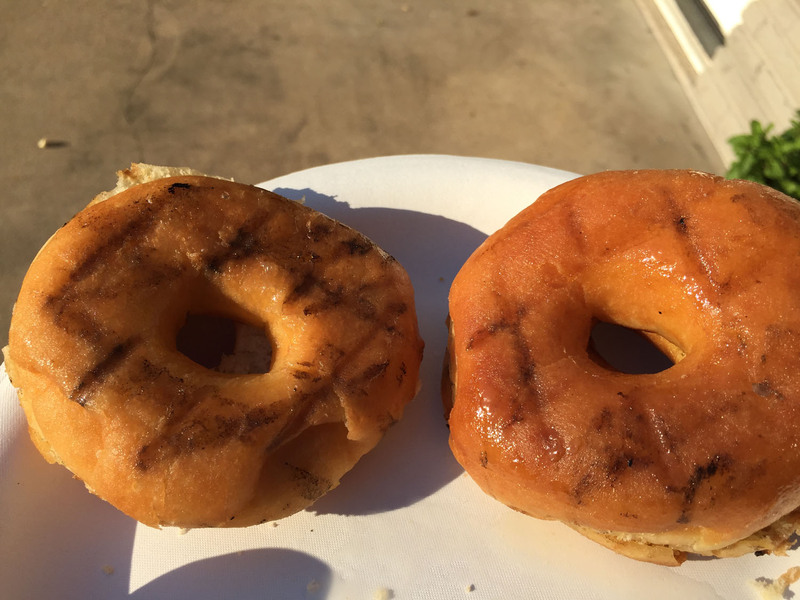 The grilling imparts a slight smoke flavor due to the hardwood lump – and the heat slightly caramelizes the glaze, creating another layer of flavor I’ve never experienced before on a donut. Then the coolness of the ice cream balances everything out with the perfect bit of sweetness and texture change.